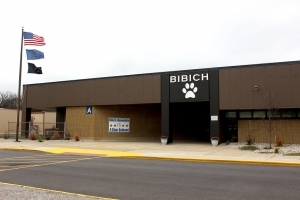 Bibich Elementary School is a 2018 National Blue Ribbon School!! 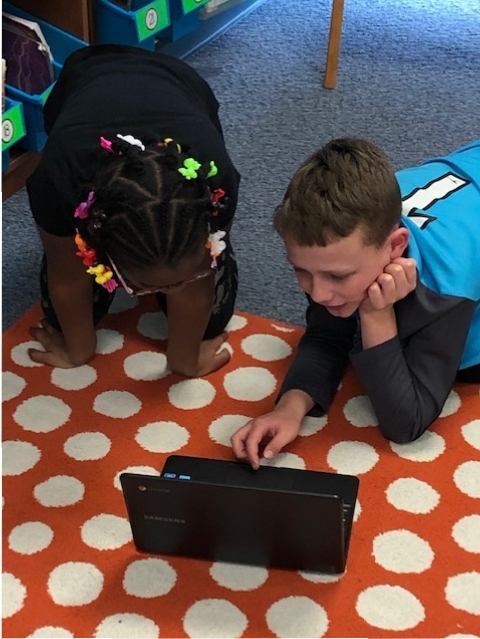 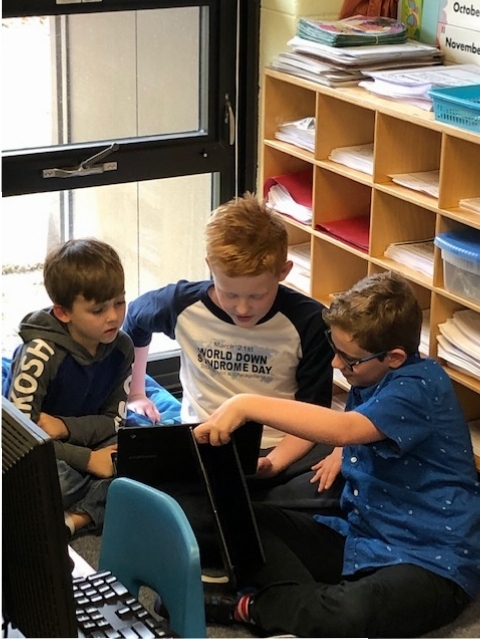 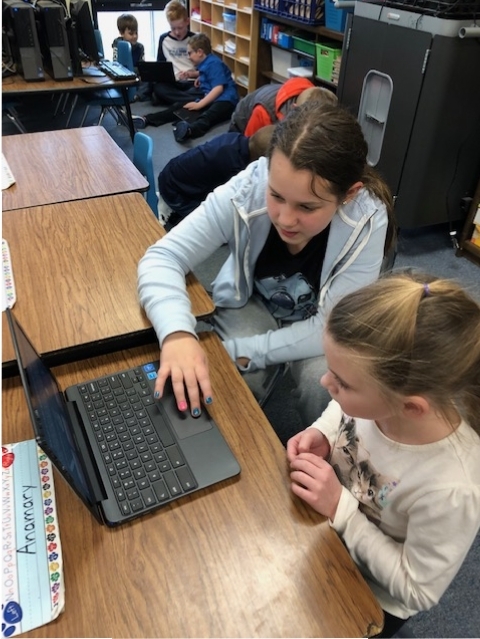 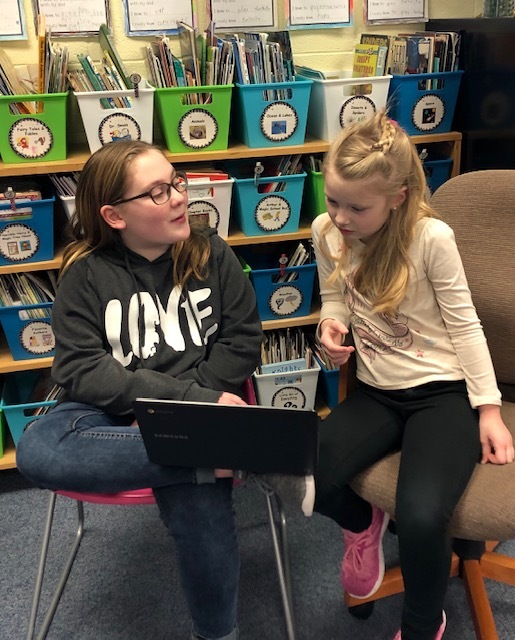 Mrs. Cruz’s first grade class at Bibich enjoyed making decisions about the direction of the stories created by Miss Snow's fourth grade class (with the help of Miss Moore) in the “Choose Your Own Adventure” using Google slides. 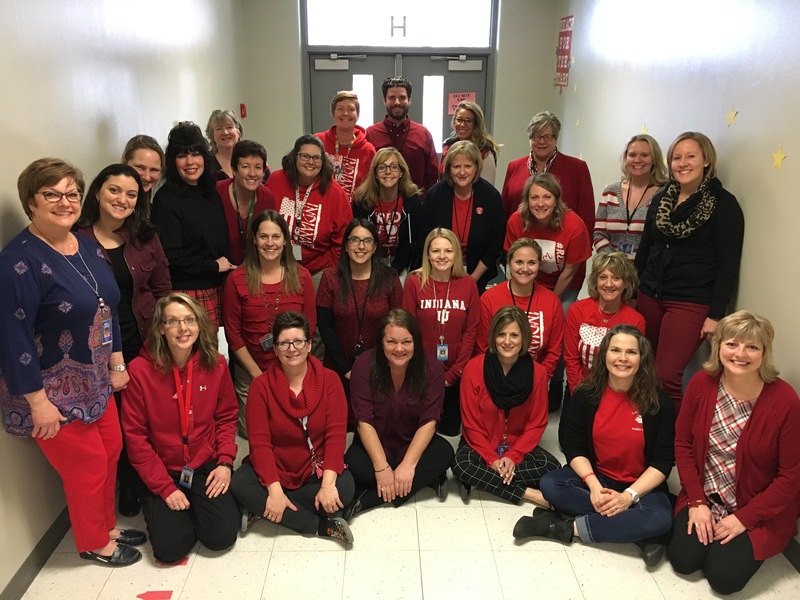 Bibich staff members wear "Red for Ed" to share their support for public education. 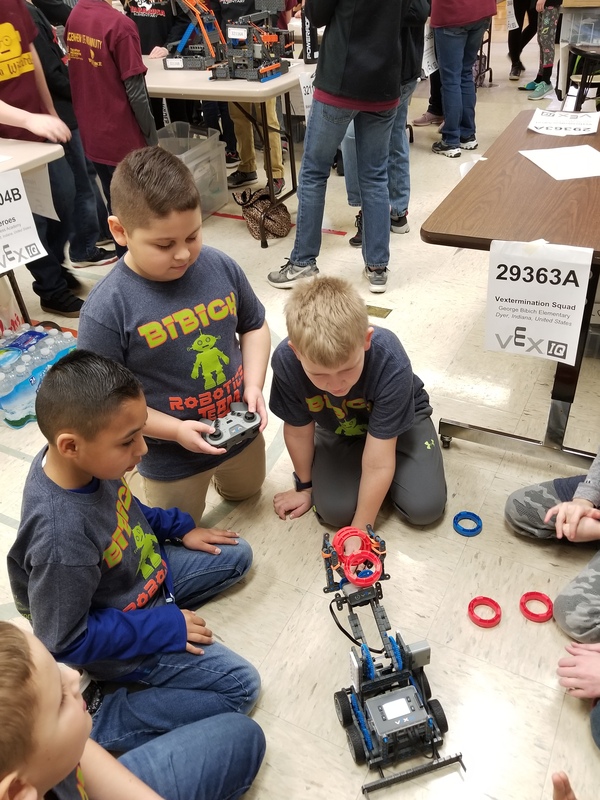 Bibich students placed 1st at the local Spell Bowl in the Yellow division. 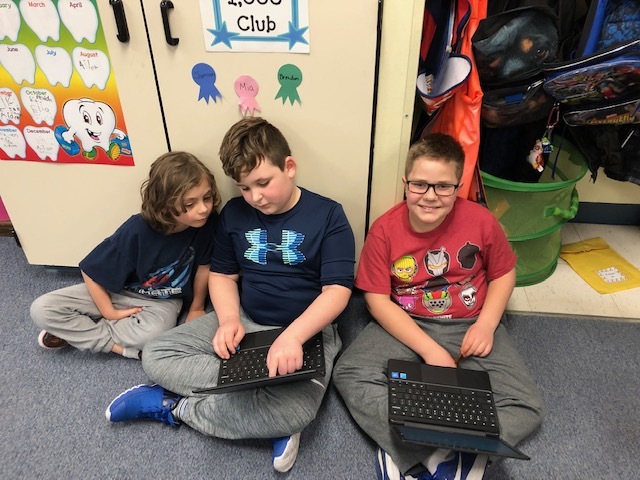 50/56 words were spelled correctly! 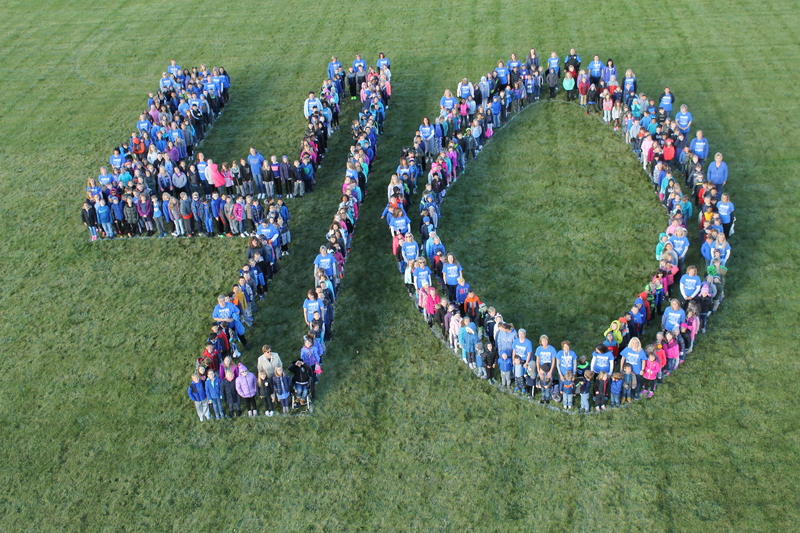 Bibich School takes an all school photo to commemorate Bibich’s 40th Anniversary. 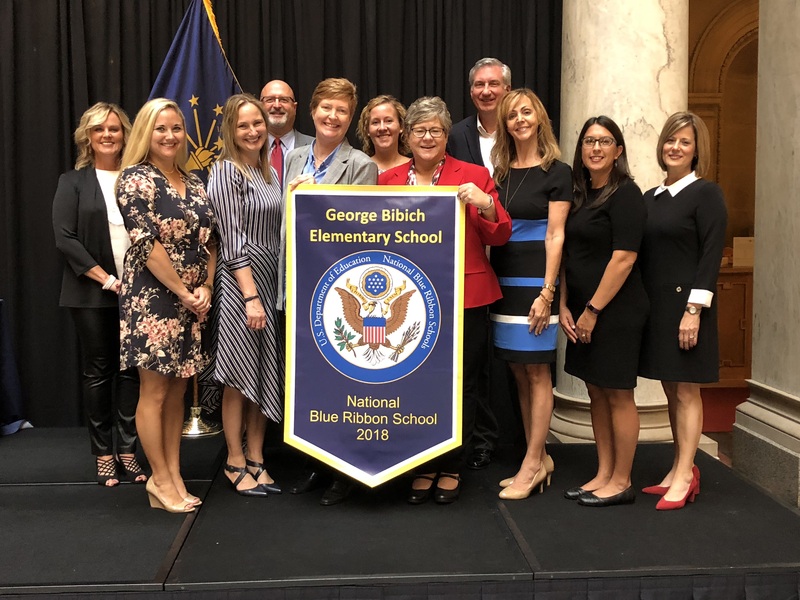 Mrs. Logan and a representative team of teachers proudly accept the National Blue Ribbon School banner from State Superintendent of Public Instruction, Dr. Jennifer McCormick on Tuesday October 2, 2018 at the Statehouse. 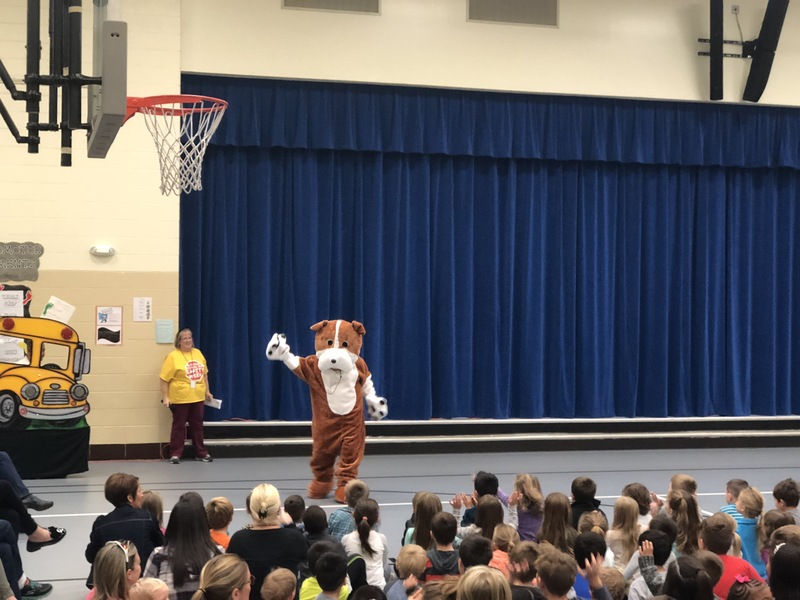 Bibich School received a donation from Dyer Presbyterian Church for the One District, One Book initiative. 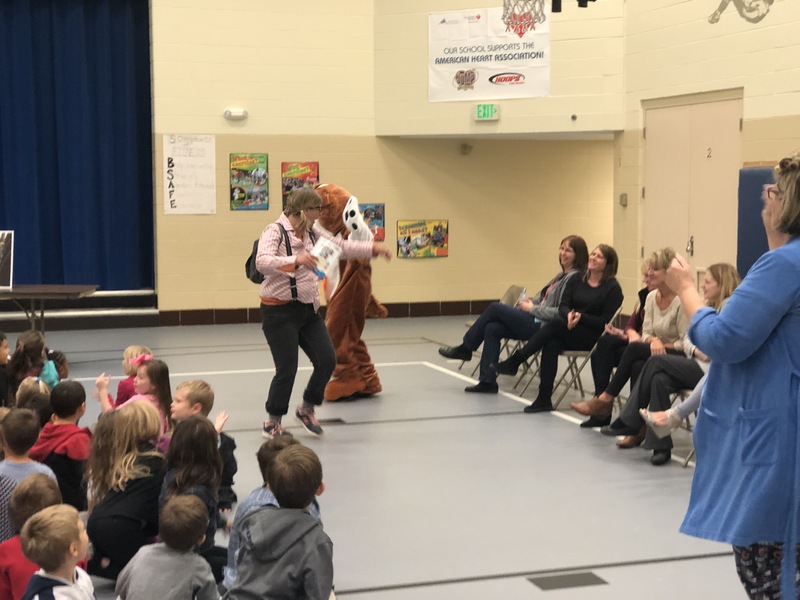 Mrs. Nancy Mackowiak coordinated the program for Bibich. 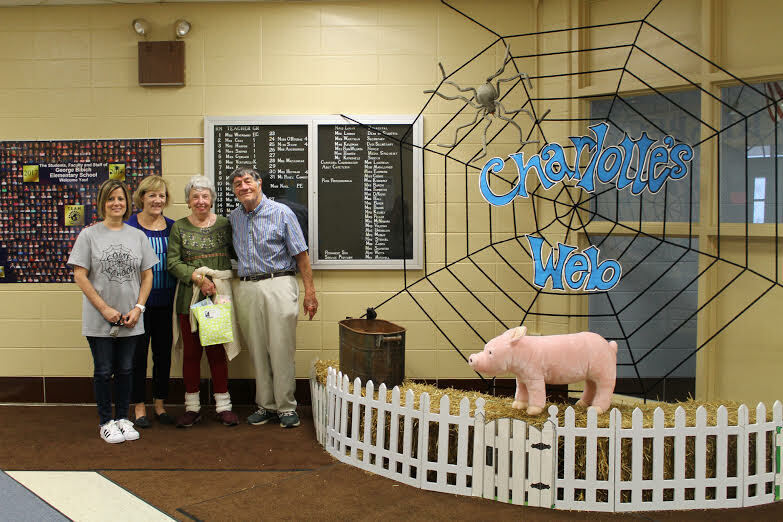 She is pictured here with guests from the church, Mrs. Chekaluk and Mr. and Mrs. Tennant. 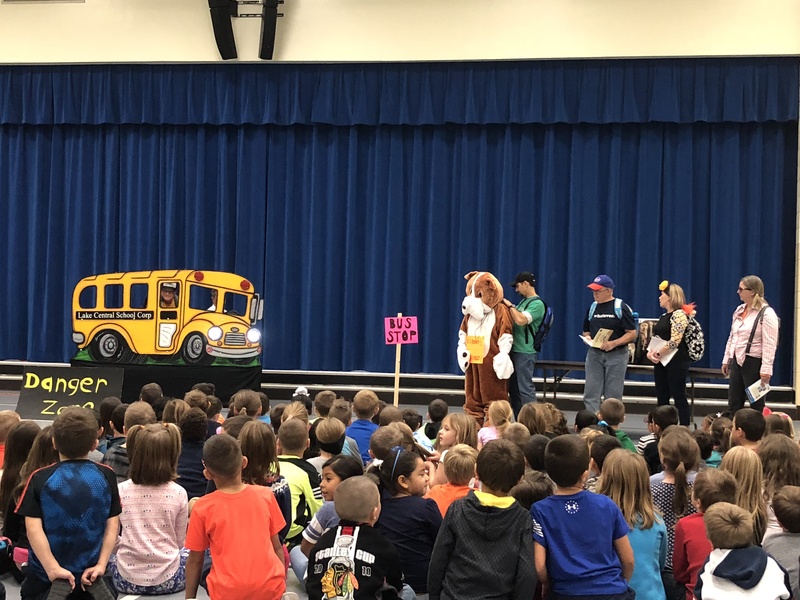 Brown's Music Bus entertained during two performances at Bibich. 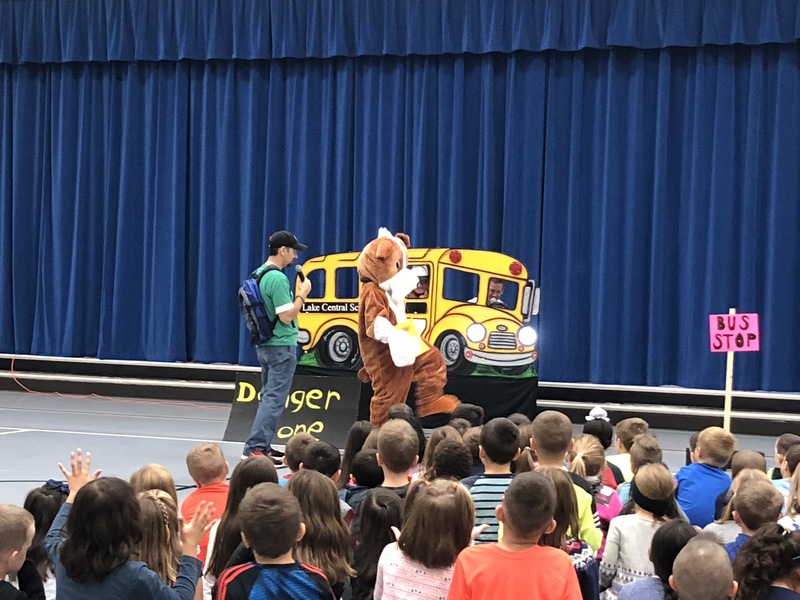 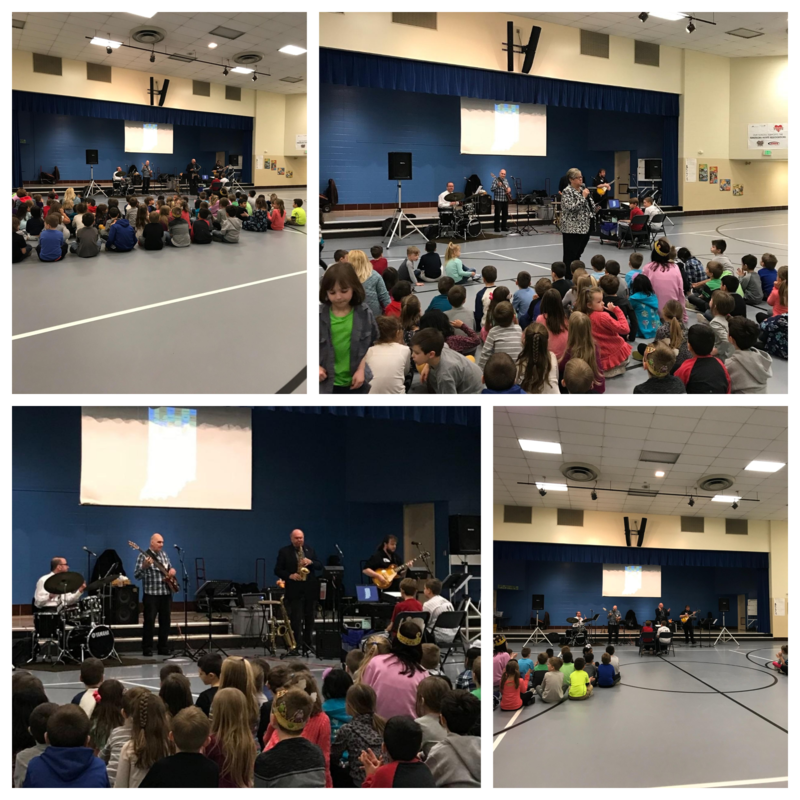 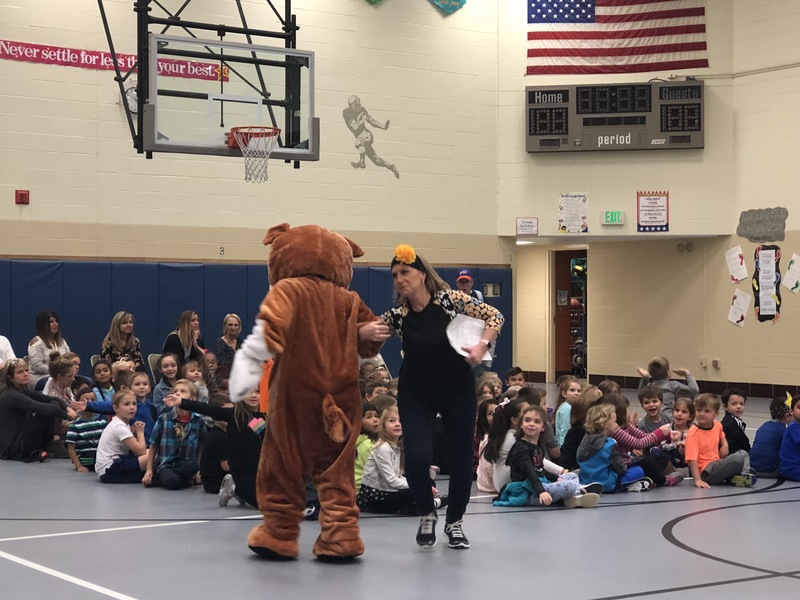 During the day they performed their "Hoosier Hits" program for students and staff, and in the evening they performed their "Music Through the Decades" program for Grandparents'/Special Persons' Night. 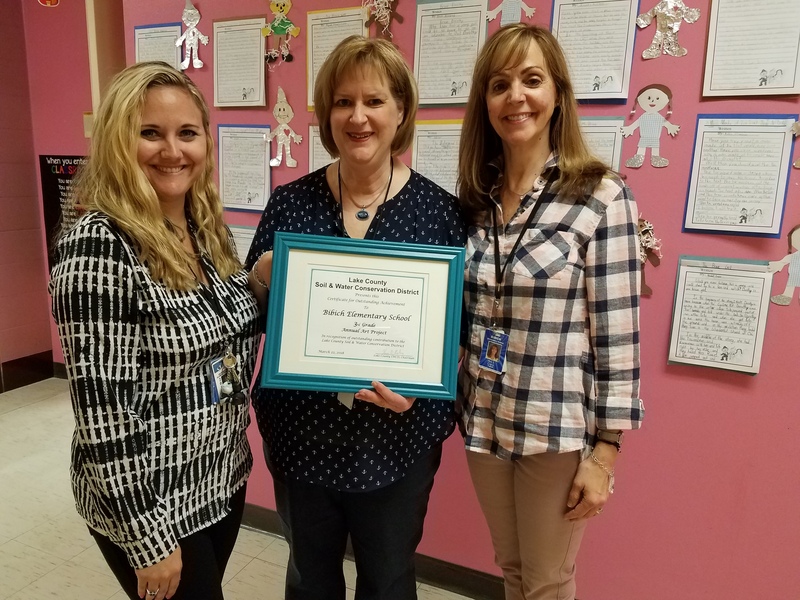 Bibich 3rd grade received a certificate of outstanding achievement for their art project contribution to the Lake County Soil and Water Conservation District. 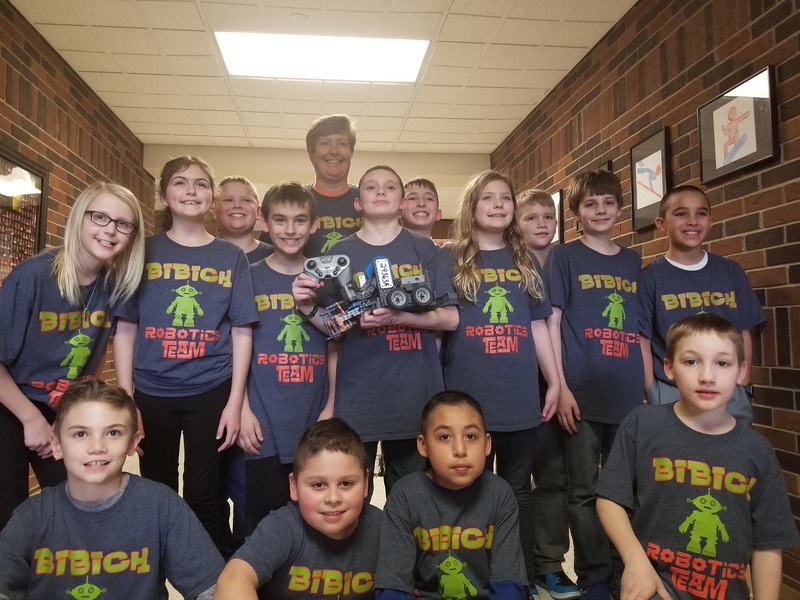 Bibich students, along with Miss Snow, participate in the Robotics Competition. 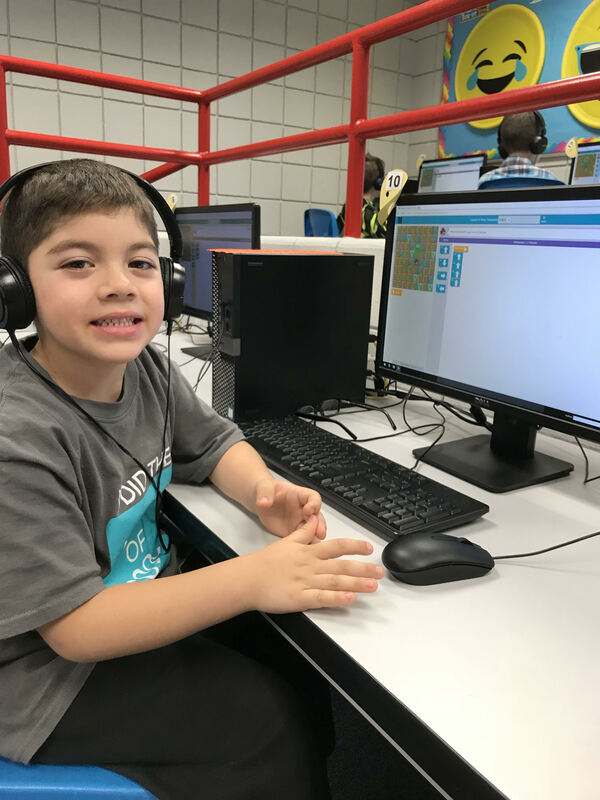 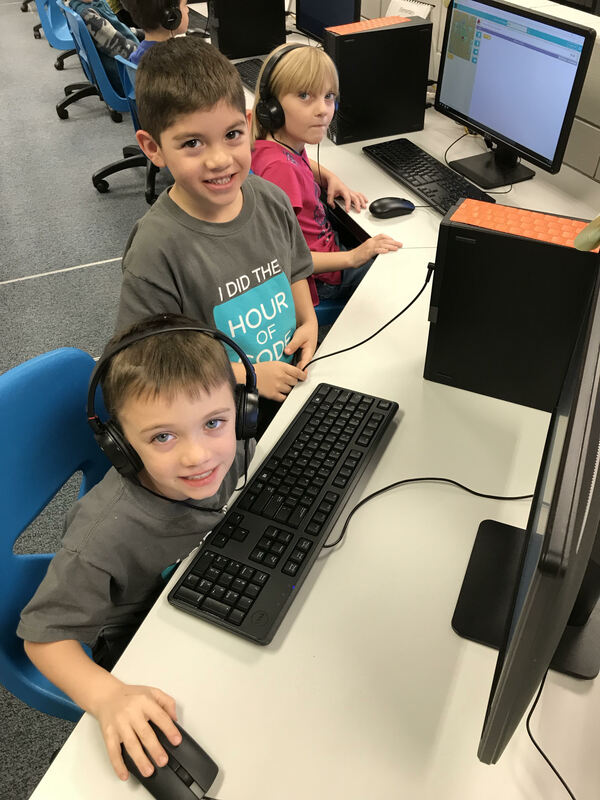 Kindergarten students participate in The Hour of Code during Computer Science Education Week. 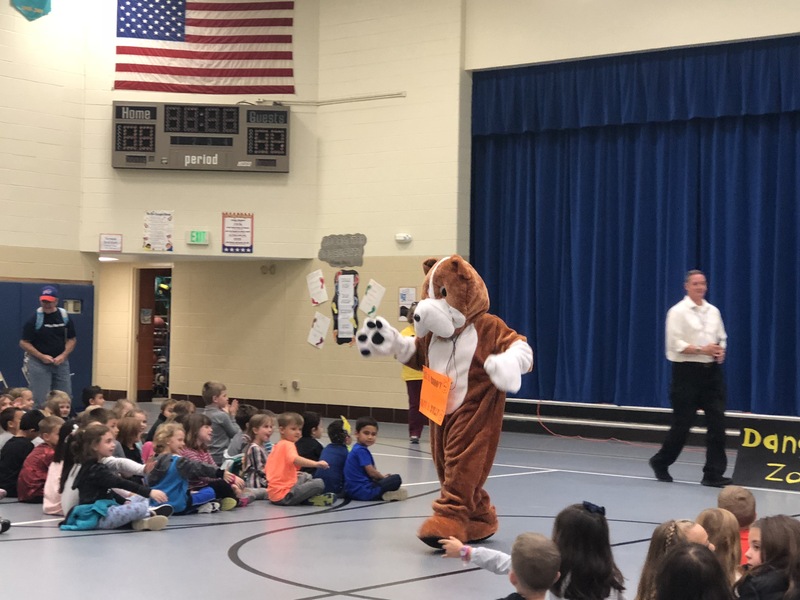 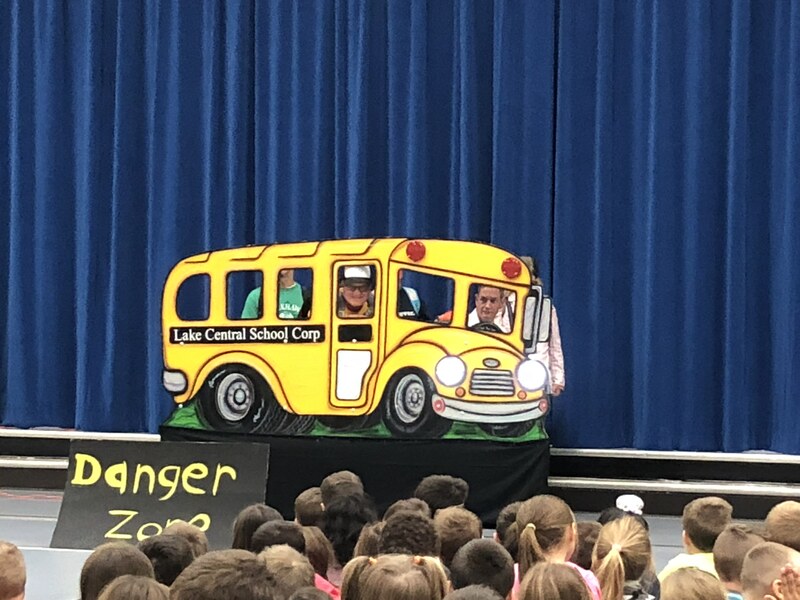 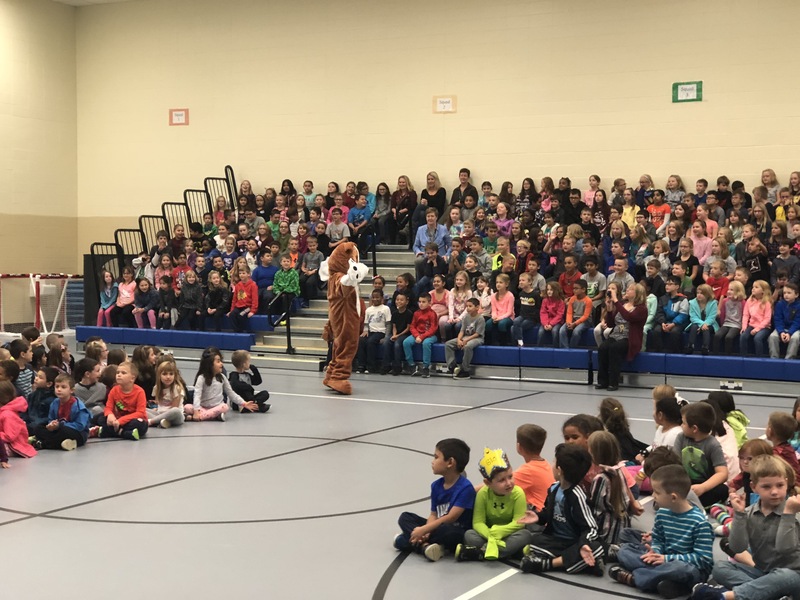 LC (the dog) and the Lake Central School Corporation Bus Safety Team celebrate with our Bibich Students National School Bus Safety Week.